After creating a simple, sophisticated and colorful trade show booth that attracted attention at over 60 worldwide trade show exhibits in a year from new distributors and positive feedback from existing customers, Optical Cable Corporation (OCC) returned to Serendipity Communications for additional marketing support. Using the same concept of photographing and showcasing the tight-buffer fiber optic cable, we produced and delivered what became an Integrated Marketing Communications campaign. 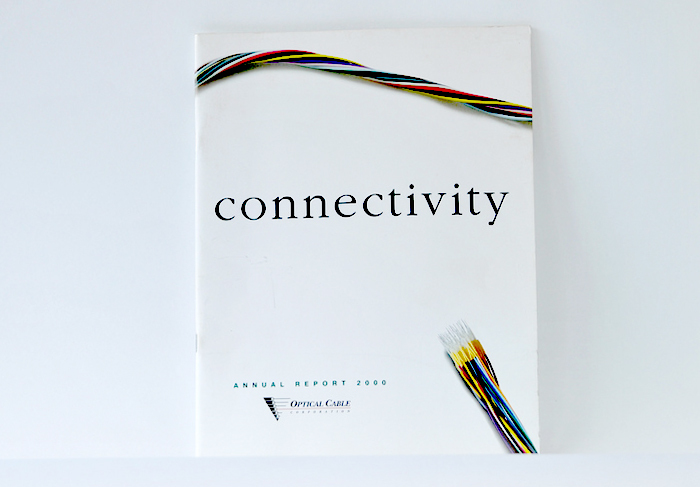 In spite of restrictions about annual reports for public enterprises, we were able to showcase the product – a bundle of colorful cables – on each page. We even expanded the concept on some of the financial pages by using spools of cable – the actual way it is stored at the manufacturing facilities – in lieu of bar charts. 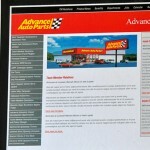 The annual report was another award winner.